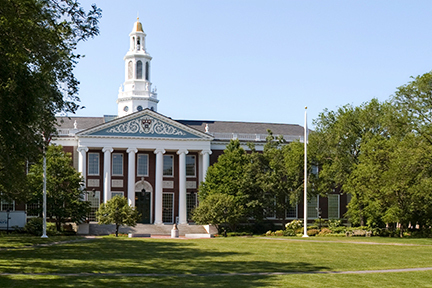 Harvard Business School invests more than $160 million in research annually—more than any other school. These funds give researchers at the School the freedom, flexibility, and independence to pursue groundbreaking research, wherever it may lead. Students study business in motion, with all the variables operating at once and, like the companies they study, are not limited by traditional academic boundaries. Students acquire knowledge and research skills leading to mastery of a field of study and learn through experience to design and execute a major piece of original scholarly work. A sampling of publications by our 2017-2018 students can be found in the 2018 Doctoral Student Research Publication.pdf. The School’s global connections and reputation give doctoral students access to industry, academia, government, and other organizations and institutions worldwide. A far-reaching network of regional resource centers is a vital element in the creation of the School's intellectual capital. Closer to home, the doctoral community often convenes at the Wyss House for study groups and monthly social gatherings where students exchange ideas and build lifelong friendships. The Wyss House is named in honor of Hansjoerg Wyss, MBA 1965, and his gift of $25 million in support of the HBS Doctoral Programs. Each year the School presents the Wyss Awards for Excellence in Doctoral Research in honor of this gift and the establishment of the Hansjoerg Wyss Endowment for Doctoral Education. These monetary prizes are presented to outstanding students engaged in innovative dissertation research. Our vibrant residential campus is designed to develop skills and build relationships that last a lifetime. So we can provide you with event, application, and other information specifically suited to your interests.